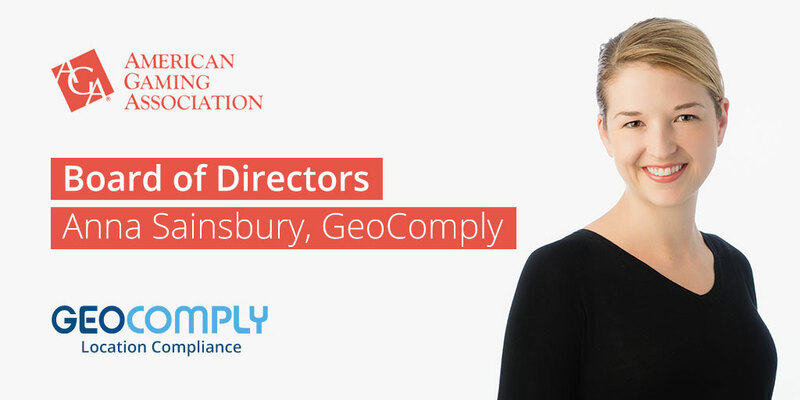 January 29, 2019 (Vancouver, Canada) – GeoComply today announced it has become a board-level member of the American Gaming Association (AGA) and that GeoComply’s Chairman Anna Sainsbury has joined the AGA board of directors. The AGA is the premier national trade group representing the $261 billion U.S. casino industry. GeoComply is a global leader in geolocation technology. Since launching in 2011, GeoComply has quickly become the iGaming industry’s trusted solution for reliable, secure, and accurate geolocation services, twice winning Responsible Business of the year in the Global Gaming Awards. GeoComply currently supports regulated online casino, poker, sports betting, lottery, ADW, and DFS operators in 42 US states to ensure compliance with state and federal regulations.